Avon, Indiana is a town of nearly 14,000 located about 20 minutes west of Indianapolis and 10 minutes west of Indianapolis Airport. Avon is a quickly growing area that combines a small-town feel with the convenience of close proximity to a major metropolitan area. Broad Ripple, Indiana is a village and cultural district in Indianapolis. 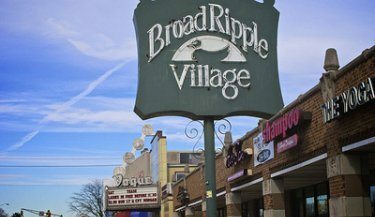 Broad Ripple Village is located on the near north side of Indianapolis, just minutes from downtown. Broad Ripple boasts a rich art community, unique shops and restaurants, and a vibrant night life, all easily walkable. Brownsburg, Indiana is a small town just outside of Indianapolis with a population of 21,285 according to the 2010 Census. If you enjoy a small-town feel with the convenience of access to a large metropolitan area, Brownsburg might be the place for you! Carmel, Indiana is one of the nation’s premier cities. Consistently recognized as one of the best places to live in America, this growing city of approximately 84,000 continues to attract businesses and residents alike. Money Magazine’s “Best Places to Live 2014” list named Carmel the third best place to live in the nation. Are you looking for a downtown lifestyle? Indianapolis provides a unique blend of Midwest hospitality with the advantages of a major metropolitan area. And downtown living may be more affordable than you think. Whether you’re looking for a quaint historical neighborhood, a condo on the canal, or high-rise living, downtown Indianapolis has it all. Based on information from the 2010 census, Fishers, Indiana is now home to 76,794 residents, and Fishers real estate has quickly become a hot commodity. The Mills Team deals extensively with Fishers homes for sale and can help make your transition to your new home a smooth one. Greenwood, Indiana is a city of just over 50,000 people located to the south of Indianapolis, in Johnson County. Greenwood has grown steadily over the past few years, and it continues to attract young professionals and families alike. With easy access to Indianapolis, Greenwood provides a small city lifestyle close to big-city attractions. Zionsville, Indiana is a lovely bedroom community located just 8 miles northwest of Indianapolis. Zionsville is known for its charming and historical downtown, family-friendly community and excellent schools. Zionsville has also been named Indiana’s safest city two years in a row.